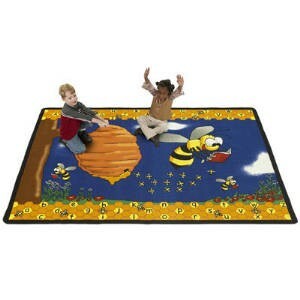 What could bee a better way to learn than with Flagship's new rug called Busy Bees? To help kids understand the lower and upper case letters, the bees have put the letters in the honeycomb. The bees inspire learning by showing the joys of reading.